Do you have a well pump that runs but does not build enough pressure or a well pump motor that is not starting or never stops at all? Troubleshooting well pump problems generally involves inspecting the many parts of the pump for signs of damage or improper functioning. 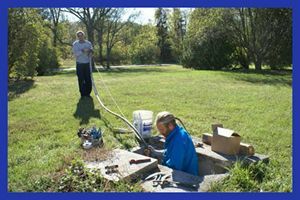 Gearhart Plumbing's trained well pump technicians can provide the installation and repair services you need to get your water back online.